Since Donald Trump became the 45th president of the United States of America, the S&P 500 has jumped more than 8%. However, at least five different major financial indicators, along with a chorus of financial experts, agree: The stock market is alarmingly overvalued. In March 2009, the S&P bottomed at 666. Today it’s trading around 2,300. 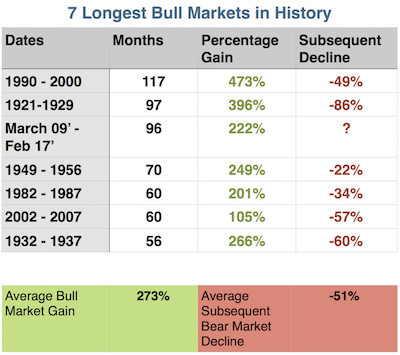 This marks one of the longest bull markets in history, sparked largely by the Federal Reserve’s low interest rates. In the last decade, the Fed has shouldered a massive amount of debt to keep the economy afloat after the housing crisis, rolling out multiple rounds of quantitative easing. The national debt doubled between 2007 and 2017, from $9.2 trillion to $18.9 trillion. Moreover, the Committee for a Responsible Federal Budget, a non-partisan group advocating for responsible government spending and debt reduction, predicts that the federal budget could increase by $5.3 trillion in the next decade, raising the deficit by as much as 25%. Still, consumer confidence was at a 16-year high in March. Investors appear to be displaying optimism for the American economy by investing in stocks, an attitudinal response to President Trump’s rhetoric of unbounded economic expansion. Unfortunately, the surge in the stock market does not reflect an economy grounded in reasonable economic growth. Financial strategist Michael Pento points out that historically, a recession has occurred in the U.S. about every five years and we’re long overdue. Generally speaking, when the stock market is overvalued at the extreme levels we are seeing now, a sharp reversal occurs. The bubble bursts. The last time stocks were identified as being riskier than they are now was in 1929 and 1999. Case Shiller’s cyclically adjusted price-to-earnings (CAPE) ratio is a widely respected valuation measure of the U.S. S&P 500 equity market, originated by Nobel Prize-winning economist Robert Shiller. Though CAPE shows the stock market as overpriced since the 1990s (the 10-year CAPE average is 16, meaning that for every $1 a company makes, an investor pays $16), it hasn’t been this high since 2002 and 2007, directly before the last two crashes. For reference, the ratio was at 45 before the dotcom bubble burst in 2002. As of April 11, 2017, the ratio stood at 28.75. There are two primary “Warren Buffet Indicators,” named as such because the famous billionaire identified them as his favorite market valuation tools. One measures corporate equities against gross domestic product (GDP) and the other measures market-cap to GDP. The Wilshire 5000-to-GDP is Buffet’s other favorite indicator - a market-cap weighted index of all U.S.-headquartered stocks traded on the major exchanges. A reading of 100% shows stocks valued fairly - anything over that reflects stock market overvaluation. The Wilshire index as a percentage of U.S. GDP is at 130%, much higher than the 45-year average, which stands around 75%. According to Goldman Sachs’ valuation of the S&P, the market is in the 88th percentile on an aggregate basis and in the 98th percentile on a median basis. As of December 2016, Bank of America showed that the S&P is above average prices along 17 different measures, with overvaluation standing at more than 20% for nine of those. Looking at the data across these five different metrics, it would be hard to make an evidence-based case for an accurately valued stock market. Instead, what some analysts are calling “Trump hope” seems to be spurring the rush into the rising S&P. It might be weeks, or it might be months or years, but at some point there’s a whole lot of hurt waiting to happen.